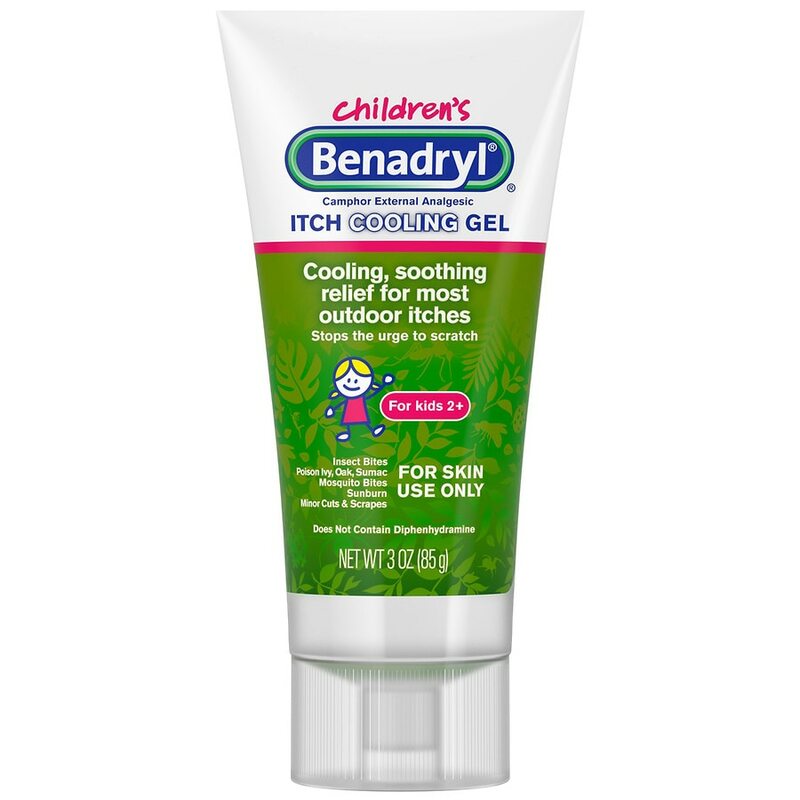 Benadryl Cooling Anti-Itch Gel for Kids temporarily relieves kids' pain and itching associated with most outdoor rashes due to poison ivy, poison oak, and poison sumac, and insect bites. Containing.45% camphor, the topical cooling gel immediately goes to work on contact to stop the urge to scratch, and it soothes skin rashes and minor irritations caused by insect bites, sunburn, scrapes, minor burns, cuts, and minor irritations. It also soothes rashes caused by poison ivy, poison oak, and poison sumac. This 3 ounce tube of gel is free of diphenhydramine hydrochloride and intended for topical use only by kids ages two and up.